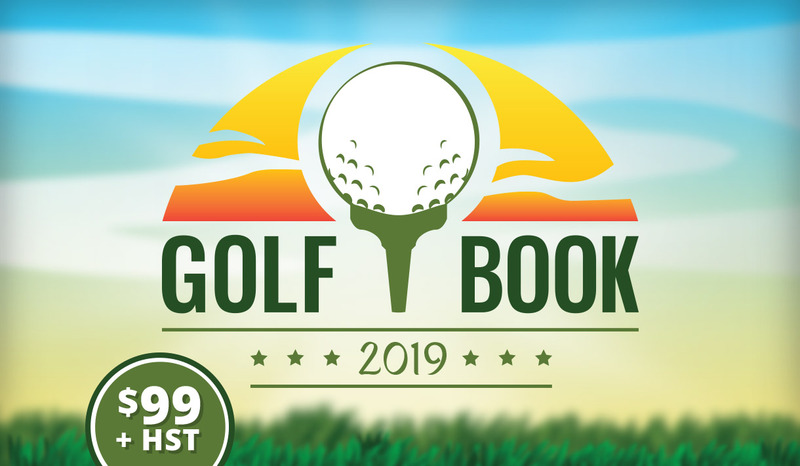 THE 2019 GOLF BOOK IS HERE! For those of you looking forward to golfing for a great price this year, you’re in luck! These books are perfect for the extreme or casual golfer. Only a limited amount of books are available, so be sure to get yours today and don’t leave it til the last minute or they could be all gone! Pick one up while you still can here at our studio at 1415 London Rd and for just $99 (+HST), play a round of golf at 13 different courses throughout the 2019 golf season. Cash, cheque & credit card accepted. Free round requires the rental of a power cart (not included in this book). Only valid after 12pm (noon). Not valid during leagues and tournaments. Golfers must book a tee time in advance. Courses may ask for valid ID when presenting the Book. Name of the intended golfer will be printed on the Golf Book upon purchase. This Book will only be valid for that golfer. Rainchecks won’t be given once page is redeemed. Golf Book/Pages won’t be replaced if lost/stolen. Limit one Golf Book purchased per golfer. Page must be presented intact and inside the Golf Book for redemption. Taking the pages out of this Golf Book will void your golf round. VALID FOR 2019 GOLF SEASON ONLY UNTIL COURSE CLOSES FOR THE FALL/WINTER. WEATHER PERMITTING.